Thanks for the great post Maren! During my undergraduate studies I actually took a class on Baseball and American History (yes, it was as awesome as it sounds) which required us to contribute Wikipedia as a part of our semester project. We had to identify a baseball player that didn’t have a page or whose page was mostly empty, do some research, and update it with more info. It was a really fun experience and I got to both learn a new digital medium and contribute something to Baseball History. That being said, I can confirm that the quality control measures Wikipedia implements are legit. My first two contributions were initially rejected until I finally got it together and had my page approved. I totally agree with the argument that perhaps Wikipedia shouldn’t be *the* source of historical knowledge for society, but the fact of the matter is that for many people it acts as a baseline to get into their area of interest. The public should be encouraged to know how Wikipedia works and use it if nothing else as a starting point for deeper inquiry. Thank you for reconciling our past Wikipedia trauma with this helpful practicum! I’d never heard of the talk pages before nor had I noticed the rankings of different page qualities, but I’m thrilled to explore these more. I agree with Alex–I feel like it’s definitely an important jumping off point. I can remember a sixth grade teacher outlawing Wikipedia citations, but instead telling us to check the footnoted sources. I think that was probably the first time I examined footnotes, although I’m not sure that I realized that’s what we were doing. 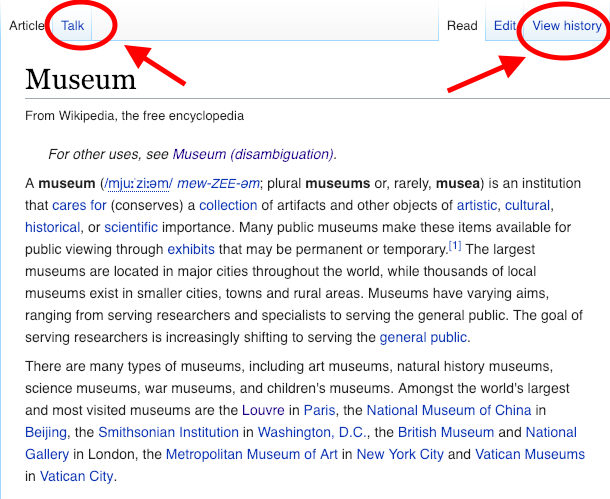 Addressing Wikipedia’s reputation is a good opportunity to teach students about analyzing the quality of content that they’re consuming–something increasingly important in a world full of Buzzfeed articles and Facebook spam. It seems like a great way to launch into a “always check your sources” discussion with young inquirers. I’m really intrigued in exploring the way cultural institutions interact with Wikipedia . Like you, I was told by my teachers never to cite Wikipedia in anything I submitted; however, many encouraged me to go to Wikipedia—and particularly the citations—as a starting point in my research. Sometimes I found this useful, sometimes not, but I didn’t think too deeply about it until I interned with the National Archives and participated in a Wikipedia Edit-a-Thon. This was a day-long event (with lunch provided) where volunteers edited a curated list of Wikipedia articles, each time linking back to the National Archives in the citations. 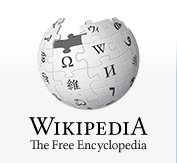 The purpose was to both to provide more in-depth and historically accurate articles given the prevalence of Wikipedia in society, but also to increase awareness of the National Archives by using primary documents and staff research as the source for as many Wikipedia articles as possible. I’m curious as to how common this effort is in other institutions and how much of an impact it has. Is this a good way to increase awareness of a museum or other cultural institution? 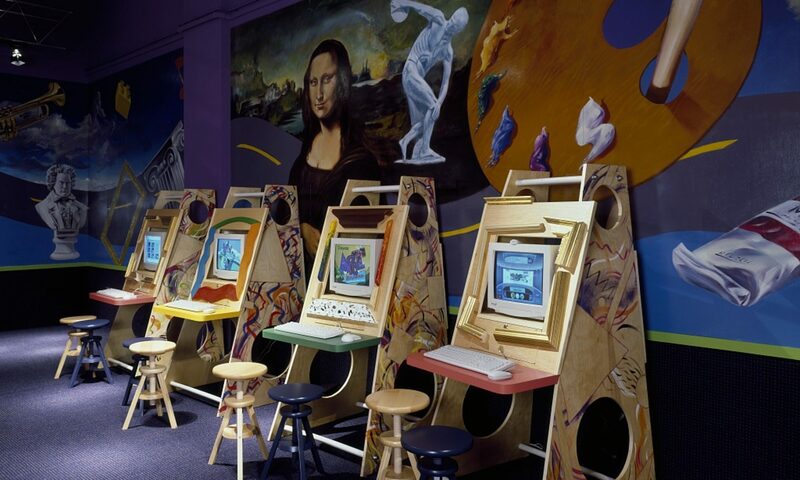 Should museums try to do more work like this?